Śrī Śrīmad Bhakti Gaurava Vaikhānasa Gosvāmī Mahārāja appeared in this world in Baḍagaḍa-grāma, a village in the Gañjām district of Orissa, on the day of Kṛṣṇa Pratipadā during the month of Kārtika. He was born in an elite brāhmaṇa family, and his parents gave him the name Śrī Ujjvaleśvara Ratha.For generations, his forefathers had reverently carried out the momentous role of serving as royal priests for the king of Baḍagaḍa. Since Śrī Ujjvaleśvara Ratha was the son of a royal priest, the king had a special affinity for him. Noting the boy’s exceptional brilliance, he invited Śrī Ujjvaleśvara Ratha to the royal assembly, where many dignitaries, like royal poets and scholars, were present. There, the king intended to showcase the boy’s scholarship by engaging him in discussions and debates on a variety of topics. Śrī Ujjvaleśvara Ratha defeated all the assembled scholars through his intelligent arguments. The king was so impressed by Śrī Ujjvaleśvara Ratha’s brilliance that he awarded him the title ‘Pāṭa-yośī,’ champion of studies. The king also recognized him as a śreṣṭha-sabhākavi, a great poet of the royal assembly, and appointed him rāja-guru, the royal spiritual advisor. Śrī Ujjvaleśvara Ratha studied both Sanskrit and English during his schooling, but when he noticed the gross disparity between the pronunciation of similarly spelled English words, like ‘put’ and ‘but,’ he concluded that English was unbefitting those who value logic. He therefore made excellence in Sanskrit his only aim and went on to achieve great proficiency in the language. The engineer paid no heed to his counsel, and sure enough, cracks began to appear soon after the building was completed. The engineer then recalled what Śrī Ujjvaleśvara Ratha had previously told him and visited him. When the engineer asked him on what basis he had made his prediction, Śrī Ujjvaleśvara Ratha said, “Look, I am not an engineer; this is true. But because this place is so close to the flowing river, I was able to assess with all surety that things would go wrong by the way you planned the building’s foundation and structure. Śrī Ujjvaleśvara Ratha, the rāja-guru of Baḍagaḍa, and Śrī Liṅgarāja Miśrā, the rāja-guru of Dharākoṭa, together started practicing the arts of tantra. As a part of that practice, they once went to a cremation ground on a dark moon night. There, they practiced their mantras while sitting on the chest of a corpse. When, by the power of the mantras, the corpse raised its hand, Śrī Liṅgarāja Miśra got up and ran away out of fear. Śrī Ujjvaleśvara, on the other hand, started shouting at the corpse, “Mṛṣā, mṛṣā—Whatever you are doing will go in vain,” and continued reciting his mantras. 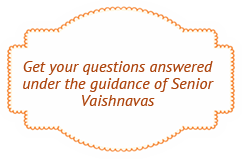 “To gain knowledge,” Śrī Ujjvaleśvara Ratha replied. “Then go,” said the corpse, “and you will attain the topmost knowledge. You need not worry at all.” And so it came to pass that Śrī Ujjvaleśvara Ratha became a distinguished scholar. One time, rāja-guru Śrī Ujjvaleśvara Ratha was returning home after selling the season’s harvest from the fields he leased to farmers, when he ran into a fierce typhoon-like storm. The torrential rain and punishing hail kept him from continuing on, and so he took shelter at a pān shop in the nearby village. There, he asked the shopkeeper if he could stay the night. The shopkeeper asked, “Do you have your own bedding?” “Yes, indeed I do,” he said. “Why have you come here?” Śrī Ujjvaleśvara Ratha asked. “Where am I supposed to find someone qualified enough to deliver me?” “I will deliver you,” Śrī Ujjvaleśvara Ratha assured him. Śrī Ujjvaleśvara Ratha said, “I follow all Ekādaśīs in this manner. I will deliver you.” Saying this, he took water in his hand, vowed to offer the fruit of one of his Ekādaśī fasts, and threw the water on the ghost. The ghost was immediately delivered, and he disappeared with a sharp hissing sound like that of soda bottle being opened. “What was supposed to happen?” he asked. When the villagers found out that he was Śrī Ujjvaleśvara Ratha, the king’s guru, they told the shopkeeper he was lucky nothing happened to ŚrīUjjvaleśvara Ratha, otherwise who knows what punishment the king might have inflicted on not only him, but all the villagers as well. While Śrī Ujjvaleśvara Ratha was once staying the night in a village with a large group of people, a Tantric priest began distributing sweets to everyone. Because Śrī Ujjvaleśvara Ratha had practiced tantra-yoga, he could tell that the sweets were actually animal excrement. He told everyone this, but one or two people doubted him. He then collected a particular type of grass and touched itto the sweets, where upon they transformed, revealing that they were indeed stool. Once, a man announced that he would come to Śrī Ujjvaleśvara Ratha’s village on a particular day to perform an incredible fire sacrifice. He claimed that he would offer oblations of chilies into the fire in such a magical way that the attendees would experience neither difficulty breathing nor irritation in their eyes. Almost all the villagers were intrigued. In the coming days, they spoke only of the mysterious man and eagerly anticipated the scheduled date. When the fraudster heard that Śrī Ujjvaleśvara Ratha had exposed him, he decided not to appear on the scheduled day. Because Śrī Ujjvaleśvara Ratha was a rāja-guru, the employees of the royal kingdom would come to his house every now and then to give him raw goods like grains, beans and flour as gifts, sometimes on the king’s behalf and sometimes of their own accord. They would tell him not to save any of the provisions, but to finish them off. From this incident, we can conclude that Śrīla Vaikhānasa Gosvāmī Mahārāja must have possessed such a staunchly exemplary character from his very childhood. Before Śrī Ujjvaleśvara Ratha met Śrīla Prabhupāda Bhaktisiddhānta Sarasvatī Gosvāmī Ṭhākura, he worshiped Sūrya, the sun god. He had taken a staunch vow to refrain from eating anything before first seeing and worshipping the sun. evening, and so he fasted without accepting so much as a drop of water. When his train reached Delhi, he caught a glimpse of the sun from his window. He thought to get down at the station to get water and buy fruits, but before he could do that, the train’s air horn sounded, indicating that the train was preparing to leave the station. At that very moment, a man carrying a large basket on his head rushed up to Śrī Ujjvaleśvara Ratha’s window and asked him to help unload the basket at the door. Śrī Ujjvaleśvara Ratha helped the man unload the basket, but when he turned around, no one was there and the train had left the station. When he looked back at the basket, he saw it was full of ripe, out-of-season fruits and first class sweets. He understood that his worshipful deity, Sūrya-deva, had personally given him those items. He concluded, “It is the devotee’s duty to worship his worshipful deity. But to undertake a vow that inconveniences that worshipful deity is grossly inappropriate.” Instead of taking those fruits and sweets for himself, he distributed them among sādhus when he reached Vṛndāvana. Thereafter, he decided to give up the vow that caused his worshipful deity to serve him. During his travels, Śrī Ujjvaleśvara Ratha went to Śrīdhāma Vṛndāvana and then to Navadvīpa, where he arrived in Śrīdhama Māyāpura. There, he received darśana of Śrīla Prabhupāda Bhaktisiddhānta Sarasvatī Gosvāmī Ṭhākura. Asfortune would have it, the annual Śrī Navadvīpa-dhāma parikramā was about to commence, and so Śrī Ujjvaleśvara Ratha decided to stay and set out his bedding under a jackfruit tree. In those days, parikramā prasāda consisted of locally harvested fat-grain brown rice, which Śrī Ujjvaleśvara Ratha was unable to eat. He did not mention this to anyone. Instead, he filled up on broken biscuits stirred into water. Although Śrī Ujjvaleśvara Ratha was a learned scholar, born to an elite family of brāhmaṇas, as well as an esteemed rāja-guru, he had not the slightest sense of self-importance. We can infer from hisexample the mentality we should maintain when visiting the dhāma. This anecdote teaches us the real way to listen to and sincerely follow the words of sādhus. During a short, few-day visit to Śrīdhāma Māyāpura, Śrī Ujjvaleśvara Ratha heard Śrīla Prabhupāda’s charismatic hari-kathā and the glories of all the places visited during Śrīdhāma Navadvīpa parikramā. Through this, he internalized Gauḍīya Vaiṣṇavism’s current of immaculate precepts, and thereby realized that his erudition and respectable position as a rāja-guru were worthless. Without further delay, he accepted the shelter of Śrīla Prabhupāda’s lotus feet and received harināma and dikṣā from him. My śikṣā-guru Śrī Kṛṣṇa-keśava Brahmacārī also received dikṣā on that same day. Having observed Śrī Ujjvaleśvara Ratha’s approach to performing bhajana, his service-oriented attitude and his boundless conviction, Śrīla Prabhupāda awarded him sannyāsa about two years after his dikṣā, and he personally chose his sannyāsa name: Śrī Bhakti Gaurava Vaikhānasa Mahārāja. Many of Śrīla Prabhupāda’s disciples were astonished to see Śrī Ujjvaleśvara Ratha receive sannyāsa within such a short span of time, especially because Śrīla Prabhupāda was known to withhold dikṣā from many devotees, even those who had been waiting several years. With all humility, Śrīla Vaikhānasa Gosvāmī Mahārāja explained to them the glories of daiva-varṇāśrama, a principle revived by Śrīla Prabhupāda. He helped the rāja-gurus understand the difference between the soul’s constitutional and conditional positions. He explained that the true, inherent identity of the jīva (living entity) is that of an eternal servant of Bhagavān, but in the conditioned stage, that identity is covered by many temporary material designations, of which brāhmaṇa is but one. Upon further discussion, the rāja-gurus developed faith in the Gauḍīya Maṭha and in Śrīla Prabhupāda. Although they previously spoke ill of Śrīla Vaikhānasa Gosvāmī Mahārāja, they ultimately agreed that he had actually increased their honor and dignity exponentially. This instance conveys the significance of the faith people had in him. They were so devoted to him that they could not tolerate seeing him even momentarily worried about anything. Before having darśana of any deity of Bhagavān, Śrīla Vaikhānasa Gosvāmī Mahārāja would always ask, “Who installed these deities?” If he was informed that a genuine Vaiṣṇava had installed Them, then he would offer praṇāma. But if not, his next question would be, “Has a distinguished Vaiṣṇava ever had darśana of Them?” If affirmed, he would offer praṇāma. Otherwise, he would leave immediately. He would often say, “The scriptures forbid one to offer praṇāma to deities that have not been installed by a realized Vaiṣṇava. Deities become direct, worshipful personifications of Bhagavān only when any of the senses of a mahā-bhāgavata comes in contact with Them. In other words, They become śrī vigraha when a Vaiṣṇava touches Them, has darśana of Them, names Them oroffers praṇāma to Them by reciting mantras of glorification. Otherwise, they remain nothing but statues composed of material elements like wood or stone. What intelligent person would want to invoke misfortune by offering respects to deities installed by non-Vaiṣṇavas? “Although a lawyer may have drafted an immaculately intelligible deed for a property’s transfer of ownership, the typist may have made no mistakes in finalizing it on stamped paper, and the prospective buyer’s name may have been explicitly mentioned, it is useless without the signature of the present owner, just as currency has no value without the governor’s signature. Similarly, no one can approach or serve Bhagavān unless a mahā-bhāgavata confers his prāṇa-dhana (life’s wealth)—the inconceivable and unapproachable Supreme Lord Himself—upon that person. The above is a teaching I learned through his direct instruction and by observing his conduct. As long as Śrīla Vaikhānasa Gosvāmī Mahārāja was physically present in this world, Guru Mahārāja had him install the deities in all of the branches of Śrī Caitanya Gauḍīya Maṭha that were established at that time. I noticed that when he recited mantras during those installation ceremonies, he never referred to a book; an uninterrupted current of mantras would issue forth from his mouth. Although he would instruct his assistant in the installations, my godbrother Śrī Bhakti Suhṛt Dāmodara Mahārāja, to cross check his recitation against a book of reference and correct him when needed, he never made a mistake. “What do you mean?” Guru Mahārāja asked. Guru Mahārāja clarified that this is not the way it works. Śrīla Vaikhānasa Gosvāmī Mahārāja then got up and went to the bathroom without worry. Śrīla Vaikhānasa Gosvāmī Mahārāja would engage others in serving him prāsada or water only after assessing their state of consciousness by quizzingthem. He would ask various questions, like “What is the supreme duty of those who have obtained human life?” “What is the purpose of living in the maṭha?” “Why should we perform hari-bhajana?” and so on. He would ask them for something only if their answers were satisfactory and appropriate for performing hari-bhajana. Otherwise, he would remain silent and not ask for anything. I was always amazed to see how subtly and carefully he analyzed his every action. Śrīla Vaikhānasa Gosvāmī Mahārāja once found an error regarding the date of an Ekādaśī listed in the Śrī Navadvīpa calendar published by Śrī Śrīmad Bhakti Kusuma Śramaṇa Gosvāmī Mahārāja. When he noticed the mistake, he first consulted with Śrī Śrīmad Bhakti Vicāra Yāyāvara Gosvāmī Mahārāja, Śrī Śrīmad Bhaktyāloka Paramahaṁsa Mahārāja and Śrī Śrīmad Bhakti Pramoda Purī Gosvāmī Mahārāja. When the error was unanimously confirmed, he proceeded to draft a letter, which he gave to my godbrother Śrī Bhakti Suhṛt Dāmodara Mahārāja and me to deliver to Śrīla Śramaṇa Gosvāmī Mahārāja. When I read his letter, I appreciated his ability to be simultaneously firm and gentle while pointing out another’s honest mistake. He wrote, “Śrīpāda Śramaṇa Mahārāja, if you assign Ekādaśī to this particular date in your calendar, then how will the verse of Śrī Hari-bhakti-vilāsa that describes how one should properly calculate ekādaśī-tithis hold true?” Śrīla Śramaṇa Mahārāja later replied that he regretted the error and would rectify it by pasting a sticker that mentioned the correction on all the undistributed calendars. In those days, devotees were not ashamed when others pointed out their shortcomings. Rather, they would accept their flaws with grace. The model nowadays, however, is quite different. Although many devotees present themselves as Vaiṣṇavas externally, they experience no shame in behaving in a manner unbefitting a Vaiṣṇava when their impropriety is exposed. They perceive it as a personal assault to their prestige and self-respect, even though they may internally concede their shortcomings after careful introspection. Even when the scriptures and the precedents set by exalted personalities do not substantiate their views, such persons continue to defend their transgressions. By maintaining a stubborn attitude, they simply inflict misfortune upon themselves. His maṭha in Gañjam was quite far from the Berhampur railway station, and we did not want to inconvenience him in any way. Still, we would always honor his instruction by notifying him of our travels and graciously accepting the prasāda he sent, understanding it to be a token of his true mercy. In this way, whenever anyone would travel through Berhampura, they would ask my godbrother Śrī Bhakti Lalita Giri Mahārāja or me to send a letter to Śrīla Vaikhānasa Gosvāmī Mahārāja notifying him of their journey, because ours was the only Bengali handwriting he was able to read. In 1962, when Śrīla Vaikhānasa Gosvāmī Mahārāja manifested illness pastimes and was admitted to a hospital in Berhampura, Guru Mahārāja sent me to serve him. Before I departed for Berhampura, he told me many stories about Śrīla Vaikhānasa Gosvāmī Mahārāja that illustrated his service propensity. After reaching Berhampura, I served Śrīla Mahārāja as much as I possibly could. “As you wish, Mahārāja,” I said. Śrīla Mahārāja then had one of his disciples arrange for my visit to the maṭha and travel with me to the maṭha in Gañjam. [Sudāmā Brāḥmaṇa said:] I am a sinful, wretched and unqualified brāhmaṇa, and Kṛṣṇa is the shelter of the goddess of fortune. Still, He has embraced me in His arms. Although this verse was spoken by Sudāmā in reference to Śrī Krsna, it perfectly captured how I felt about the honor shown to me by Śrīla Vaikhānasa Gosvāmī Mahārāja, who was not only my guru-varga, but Guru Maharaja’s sannyāsa-guru as well. The chutney he made from banana peels and his sweet rice were so delicious that I can remember their taste even today. This comment made such an impression on my heart that even today I repeat the same thing when someone gives me many things to eat. Wherever Śrīla Vaikhānasa Gosvāmī Mahārāja would go, he would describe Śrīla Prabhupāda’s glories, exemplary character and teachings. Although Śrīla Mahārāja delivered all his lectures in Sanskrit, his use of the language was so simple that everyone was able to understand, whether Bengali, Oriya, Assamese or Hindustani. His lectures, his personal conduct and his interactions with others were chock-full of teachings; there was a lesson to be learned at every step. Although it has been over fifty years since Śrīla Vaikhānasa Gosvāmī Mahārāja entered nitya-līlā, when I think of him, it is as though I can see him standing before me.